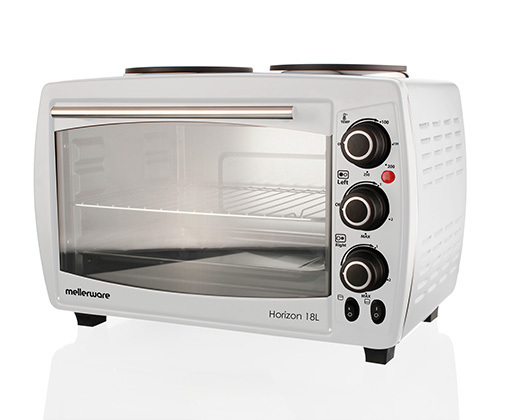 Home Products Mellerware Mini Oven With 2 Hotplates Stainless Steel White 18l 2400W "Horizon 18"
Mellerware Mini Oven With 2 Hotplates Stainless Steel White 18l 2400W "Horizon 18"
The Mellerware Horizon 18 Oven has a convenient 18L oven capacity. Bake or grill your favourite meals with the multi-function options. The Horizon 18 Oven has a beautiful white finish making it not only useful but stylish and sleek. The drop down door ensures easy and safe use.